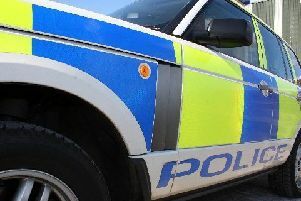 Police in Midlothian are investigating following a fire at a flat in Loanhead. Police and the fire service attended the property on the High Street at around 8.15pm on Saturday (May 19). The fire is being treated as deliberately set and a 50 year old man has been charged in connection with it, a report will be submitted to the Procurator Fiscal. No-one was hurt and no evacuation was required. Contact Police Scotland on 101 quoting incident 4553 of Saturday 19th May, or Crimestoppers anonymously on 0800 555 111.